Those are the results set by the jury. Some judges left some non-commented categories in certain games, as they don’t think it will be relevant or they don’t want to highlight any specific point. All three reports have been computed in order to show the final results. As in 2010 edition, the games have have been judged about 5 aspects with more importance given to the gameplay. On 100 points, there were 28 points for the gameplay, the remaining 72 points were reserved for the 4 other categories (graphics/visuals, musics/sfx, originality, polish), what means 18 points for each of these criteria. Anyway, we have a winner again ! 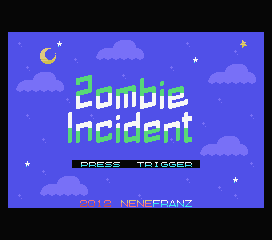 Zombie Incident has seduced the jury’s members with a new kind of platform fun in a surprise entry by a brand new team. Not only it’s the big winner, but it’s viewed as the game with the best graphics, the best musics and the most original game. Congratulations to nenefranz, John Hassink and Sun ! 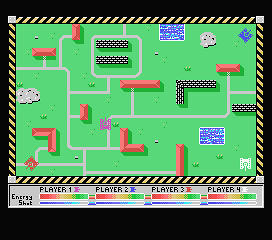 The 2nd prize goes to Alter Ego, an excellent MSX adaptation of a Spectrum puzzle game, the opportunity for the Dutch veterans of the The New Image (TNI) to show all their talents : this entry is seen as the most polished game and the game with the best gameplay ! 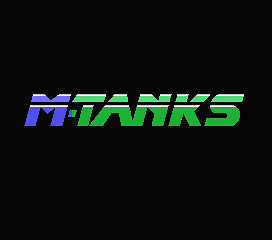 The 3rd prize goes to M-Tanks, an action game for 1 to 4 players by Assembler, a newcomer in the MSX scene. A good sign for MSX history : still new coders appear, making astonishing things ! As the games ranked 2 to 4 have at least a score of 67,67 %, the special prize offered by hap will be shared between the coders of these games. It was initially a barrier of 70 %, but the sponsor has decided to change that, considering that it was a too strict condition. It means that 25 € will be added to the ‘normal’ prize for Alter Ego et M-Tanks and that 25 € will be given for JumpinG (The Tutorial Game) to the Dimension Z team. The winners will be contacted soon. Now sit back and read the in-depth report for all 9 entries presented to the contest ! - Impressive graphical work, including some nice effects. - Good musics that improve the fun in a dangerous evil castle. - These bumps are crazy and give much originality to a game somewhat inspired by Vampire Killer, at least for the atmosphere. - For sure an amazing good game but some details need to be improved. - Compared to Alter Ego, I think this has slightly less polish. - Finely polished both in visual and audio quality. - A big maze to explore while making unexpected bumping jumps on the walls or the enemies. The level difficulty is high as you need also to come back to the starting point when you have found the 8 stars. - BARELY edges out Alter Ego for best gameplay. - It is still yet another platform game, of which I am starting to grow a bit tired. - But who is the cause of all these zombies ??? - Nothing spectacular, but I like the style. - Just plain does what it is supposed to well. - Good graphics, all the details have their importance. - Excellent musics that improve the atmosphere and reveal the access to another difficulty level. - Pretty good, but will get on your nerves after prolonged playing sessions. - It is a port. - Ok it’s a port, so I have to count a bit lower here. - Nice conversion of a very original idea, where you handle at the same time two characters in opposite ways with their specific advantages or inconveniences. - Very polished game, only a demo mode is missing. - Gets very hard very quickly and it’s addictive as hell. - You have all the time you want to find the good way, the good timing, the good reflexes ! Some stages are less difficult than it seems at first sight, that’s also part of the challenge ! 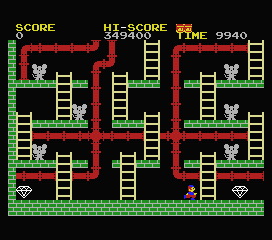 - I actually had an issue of moving on to the other games. - Puzzles brought to a double dimension ! - An editor expansion would rule. 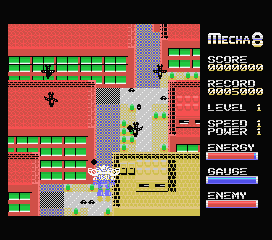 - Never played the original version(s), but it’s a good thing there’s a MSX version now. - Good graphical surprises to evolve in the different areas. - Amazing variations in the musics and sound effects. - Many options for many gamers ! - Ok it’s “Tanks” from the 2600. Just, it isn’t. - The extra levels rock and the presentation is excellent. - Up to 4 players, loads of gametype options. - Demo mode, 2 training modes, 3 game modes, ranking, areas to unlock, hidden secrets and much fun for 1 to 4 players ! - This game needs some training to be played, but two options are provided for that ! - AI is not good; but this would rock with 4 players. - Resident Evil style control are as they should be – slow and sluggish, but that does not really hurt the game that much. - Find 2 joysticks and three friends and have some solid multiplayer fun with this gem. - Become an expert in tanks ! 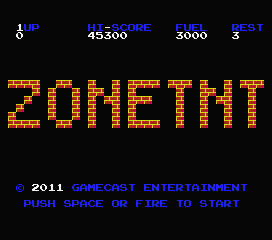 - Excellent expansion of Atari 2600 classic (without being a clone). - Excellent graphics, including emotional sprites. - Entertaining music for an unexpected kind of platform game. 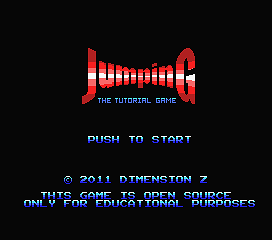 - Very original game where jumping is a required obsession. - The entry screen and help screens helped; attract mode good. - Demo mode, intro and end, a maze with parts to discover and/or unlock, a great work ! - Not my favorite genre but actually decent. - This game is very addictive, but some jumps are not so evident and there are so many oppportunities to die. - Jump is the main key of this game ! 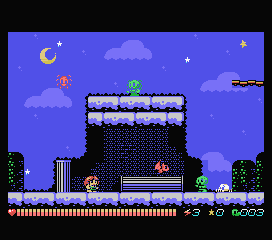 - Good looking and sounding platform game. Unfortunately let down by the lack of a goal which makes it ultimately not interesting enough to continue playing. - Hurts my eyes and not in a good way. - Not wonderful, probably voting a bit high here, but did like it. It’s a shooter. - Good work for the graphics in 5 different worlds. - Good musics but a little too repetitive. - Nice oldschool-feeling tune, good crunchy sfx. 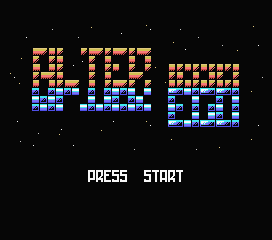 - It’s like Aleste but for MSX1. - It has a story, shame about the subpar English. 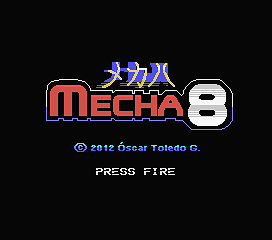 - Good intro and info screens between the levels. - Good playability, it’s not evident to keep power-up for a long time, but it’s part of the fun. - If you can get over the horrible choice of colour everywhere there’s a quice decent shooting game in here. - A nice shoot’em up ! - Not very much music, but it’s better for this kind of game. - I don’t think music worked on my machine. - It is a chess game. 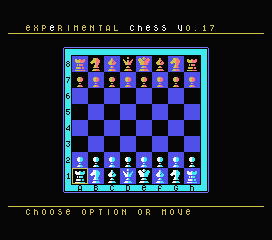 - Trying to make the computer act like a real human in a chess game is a real challenge ! - Not bad for chess. 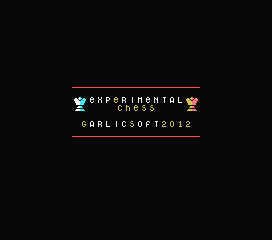 - You see directly that the game has been conceived by a chess expert ! - Chess fans will like it, but the speed of the computer reactions needs to be improved. - Only issue is it’s not good for non-chess players. - A new approach for a real patience and strategy game ! - Not a bad chess game. - Computer opponent takes forever to make a move. Watching paint dry might be more exciting. - Good graphics and general aspect. 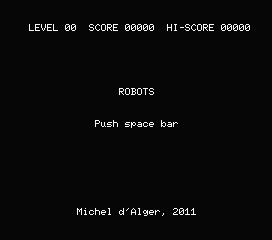 - Good effort to include different musics in a MSX-BASIC game. - Interesting concept, but why the mice don’t move ? - To be honest, I played mostly to hear Rah Rah Rasputin, courter of the Russian Queen. - Could not get this game to run at all on a real machine. - Static mice were not… what I expected from “Kill”. - A revenge against the mice ??? - Simple graphics for a powerful game. - None really, it is textmode all the way (which completely screws over in anything other than 40 columns mode). - Not very much music. 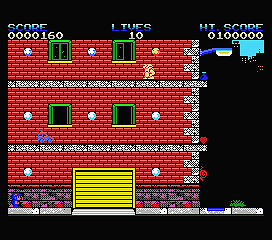 - Never seen a game like this on MSX as far as I can remember. - Original concept with increasing difficulty level. - Good adaptation of a classical game. - See comment on graphics/visuals. - A mix of luck and strategy and you get an addictive game even when using simple things. - Takes a short while to understand how it works, then it’s amusing for a few minutes. 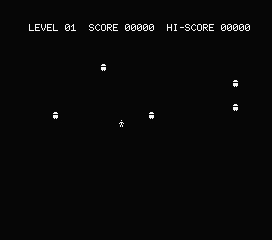 - Well, it’s robots (: Sort of a 1979 arcade version, which is good, except it’s still Robots. - Dodge and trap these nasty robots !!! 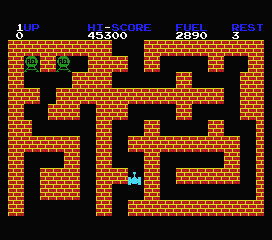 - Good graphics but the maze should have variations instead of repeating always the same schemes. - Entertaining music and good sound effects. - Very limited concept, especially because only vertical shoots are generally useful. - Not really a polished game, as errors happen ‘ramdonly’, breaking the action. - This game is very boring. Besides, don’t try it in R800 mode ! 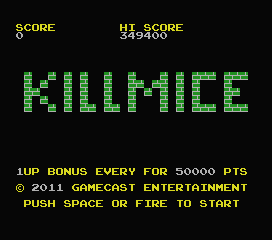 - Basically the same game as Kill Mice, just, less mice and less fun.